Communication, consistency, and recognition are key to steering your organisation culture in the right direction, advise experts from Tripartite Alliance for Fair & Progressive Employment Practices (TAFEP). Every organisation has its own culture made up of the values, beliefs, underlying assumptions, attitudes, and behaviours each employee brings to the organisation. Organisation culture is powerful. It will take shape and grow, whether you focus on it consciously or not. The important choice for leaders is to consciously build the culture they need for success. Why is this critical? 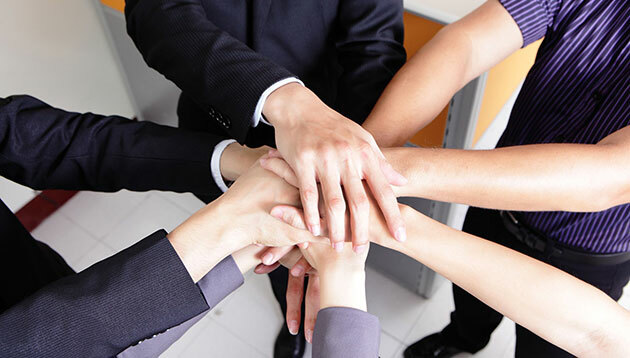 An organisation’s culture can impact behaviours, leadership decisions, and organisation norms. All of these can affect employee morale and motivation and ultimately, impact business results, innovation, and collaboration. What are the values, guiding principles, and best practices that your organisation stands for, and how can you make them part of everyday life at the organisation? These values and principles should become central to business operations and act as a guide to strategic decisions. Are they clearly and regularly articulated? This can be done by including them in company handbooks or performance reviews. When effectively communicated, they also serve to ensure a cultural fit between your employees and the organisation. Review your organisation policies and procedures to ensure that they match the culture you are trying to shape. For example, an organisation that promotes a fair and inclusive culture should have recruitment practices that also demonstrate the company’s commitment to hiring on merit. Culture is inculcated through interaction. Reward and recognise employees who exemplify the desired culture and values so as to further deepen such behaviours. For example, if your organisation values service excellence, recognise employees who go above and beyond to serve customers. Given the heterogeneous nature of businesses today, there is no single rubric for a “correct” or “best” organisation culture. Only by consciously creating a culture that supports the attainment of your business goals, can you then lead your organisation towards success. TAFEP holds regular workshops to help employers and HR professionals keep abreast of HR best practices. Visit http://www.tafep.sg to find out more. Poor indoor environmental quality might affect your ability to take decisions. And you thought you were safe from the haze indoors.. Bizarre HR: When does training become public humiliation? A company in China decided to help employees cope with stress by embarrassing them in public. .. While 73% of employers feel their employees are being paid fairly, only 36% of employees agree. Where's the disconnect?..